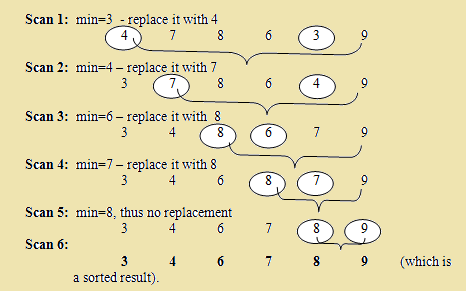 Selection sort algorithm is use for sorting an array where this loop from the start of the first, and check through other elements to find the minimum value in an aarray. After the end of the first loop,the minimum value is swapped with the current element. The iteration then continues from the 2nd element and so on.